With web music fan favorite Muxtape currently out of commission due to “a problem with the RIAA,” an open source — if no more legal — alternative has appeared: Opentape. Opentape describes itself as “a free, open-source package that lets you make and host your own mixtapes on the web.” Or, in other words, a Muxtape clone that’s free and open source. The demo mixtape is basically a straight up clone of the Muxtape site. The software uses PHP 5, Apache, and requires curl. The version 0.1 release hit the web a couple of days ago. 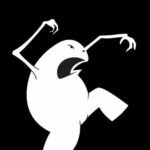 Why would anyone want to create an open source version of an application that was shuttered due to legal trouble with the highly litigous American recording industry? Over at Hacker News, where I first heard about Opentape, the concensus seems to be that the idea is to become another thorn in the RIAA’s side. The more people running their own version of what is essentially Muxtape, the harder it will theoretically be for the RIAA to shut them down. Opentape doesn’t solve any copyright issues, it just makes it harder for the RIAA to litigate. However, as others on Hacker News have pointed out, the RIAA has not been shy about going after individuals when it comes to P2P traffic. A few weeks ago we posted about a new service called 8tracks that operates similarly to Muxtape — allowing users to create 8 song mixtapes and share them with friends — but is planning to do so legally by paying royalties to SoundExchange, ASCAP, BMI and SESAC. Will Opentape succeed? That’s hard to say, but there are two potential issues holding it back. The obvious one is legal: how many people will be willing to risk the RIAA’s wrath to publish a mixtape on their server? The second is content. 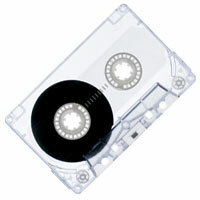 What made Muxtape great was the ability to browse other mixtapes and find great new music. Without a way to aggregate and discover the mixtapes people are making and publishing with Opentape, it will be less attractive as a distributed service.